How do I change the headlight bulb in my 2008 Saturn Outlook? What is the best way to get the headlight out of its socket in order to change the bulb? I have a right head light that has burned out two times in the last couple of months. Took it to the dealer for a seat belt issue and asked them to look at it. They said it would cost $750.00 to fix the light. The socket was burned out and the part would be $400.00 and labor $350.00 to put it in. They said they would have to take the bumper off to put it in. I do not believe this. I think I can remove right tire and remove the plastic wheel well and cut the wires and splice in a new socket. What do you think? I am no stranger to being a parts changer and I will get caught trying to fix this problem too before I hand over $750.00 to the dealers for one small head light. Any thoughts? Can I buy a socket by itself? Hi Mikendale. Is this a high intensity discharge bulb? If it is, they run a very high voltage. Improper service procedures can result in burning out the ballast which is also very expensive. These systems are very expensive to repair. Be thankful you do not have a BMW. 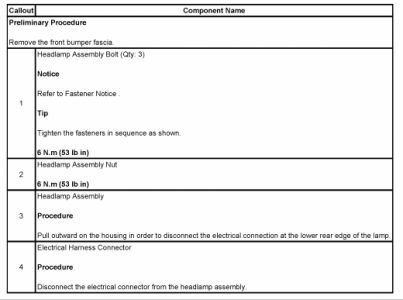 Sometimes there are faster ways to replace parts, but reputable mechanics will follow the published service procedures. If there are shortcuts, there is a reason the manufacturer does not want them to be used. Your mechanic will likely not try to cut corners that you are willing to do to your own car. We tend to want the job done properly when someone else is doing the work for us, but we are willing to compromise when it is our own time, skinned knuckles, or frustration that is involved. How do you replace a headlight bulb? Unfortunately the headlamp bulbs are not an easy task in the outlook, plus they are having a problem with the connectors to the bulbs melting. To gain access to the headlamp bulb your suppose to remove the front bumper cover assembly, then the headlamp, but I have had some luck with just removing the plastic wheel liner that is with in the wheel opening and reaching up to the headlamp to get the bulb. Six cylinder two wheel drive automatic. What do you need to do to replace a head light? 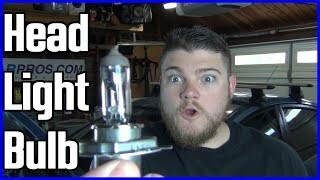 How do you replace the HID Headlight? 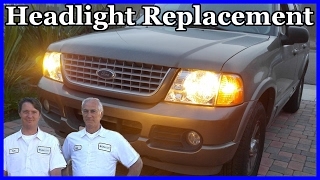 Are you replacing the entire headlight assembly or only the bulb? Sorry, I wanted to attach a picture so you could see the mounting brackets for the assembly. 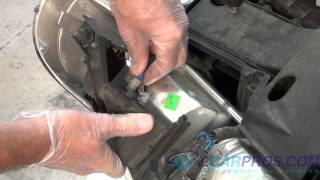 If it is just a bulb, remove the socket from under the hood and replacing the bulb only. How do I get to the left side headlight to replace it? Six cylinder all wheel drive automatic. How do you replace a headlight? 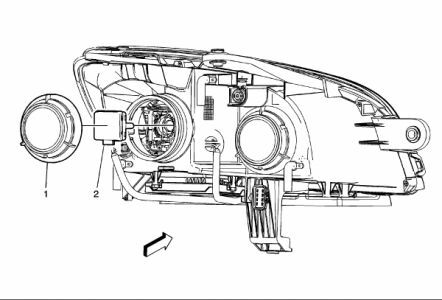 Unfortunately, the headlamp bulbs are not an easy task in the Outlook, plus they are having a problem with the connectors to the bulbs melting. To gain access to the headlamp bulb your suppose to remove the front bumper cover assembly, then the headlamp, but I have had some luck with just removing the plastic wheel liner that is with in the wheel opening and reaching up to the headlamp to get the bulb. 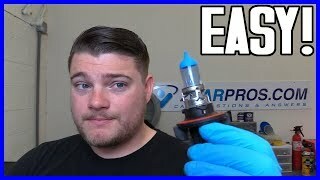 Easy to follow step by step guide on how to replace an automotive headlight bulb, though appearances may vary the process is similar for most vehicles.